Holistic financial planning is the process of preparing for life's goals by carefully planning out the management of your current and future resources. Life goals may include buying a home, saving for your children's or grandchildren's education, planning for retirement, passing on a family business, saving for a wedding or leaving a legacy. The process involves gathering financial information, setting your life goals, examining your existing assets and crafting a plan for how we, together, will meet and exceed your goals. 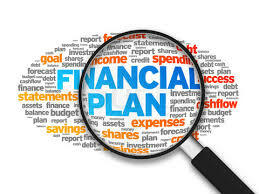 Financial planning provides a roadmap to meeting your financial goals. It allows our clients to understand how each financial decision affects their total financial health. By viewing each financial decision as part of a whole, you can consider its short and long-term effects. Our clients also enjoy feeling more secure knowing that their goals are on track each time we meet to review and make adjustments to their financial plans. A financial planner is someone who uses a systematic financial planning process to help clients plan for and achieve financial goals. As your financial planner Gardner Lee will understand your unique financial situation and make recommendations which assist in realization of the plan. Gardner will look at budgeting and saving, taxes, investments, insurance, estate and retirement planning. We also work with you on individual financial issues keeping in mind the context of your overall situation. We clearly explain and document the services to be provided to you and define both your and our responsibilities. We clearly explain how we will be compensated. We work with you to agree on the scope of our professional relationship and on how decisions will be made. We will ask for information about your current financial situation. We will work together to mutually define your personal and financial goals, understand your time frame for results and discuss how you feel about risk. We will gather all the necessary documents and critical information before giving you the advice you need. We will analyze your financial information to assess your current position and determine what actions you should take to meet your financial goals. Depending on the scope of the financial plan, we may include analysis of your assets, liabilities and cash flow, current insurance coverage, investments, tax strategies, and estate plans. We offer financial planning recommendations to address your goals, based on the information you have provided. We review the recommendations and help you make informed financial decisions. We listen to your feedback and revise the recommendations as appropriate. We agree on how the recommendations will be carried out. Typically Gardner Lee provides portfolio management services to financial planning clients. We continue to monitor your progress towards your goals if we are retained to do so. We report to you quarterly, Semi-annually. That is your preference. Once per year we review your progress, and adjust our recommendations, as your life changes.